BT has announced a deal which will see the new AMC UK channel launching exclusively via BT TV's satellite and IP outlets this September in a move that sees the telecoms adding top US drama to its portfolio of exclusive content. AMC is a leading US cable network, and has been the home of hits including Breaking Bad and Mad Men. The multi-year agreement with BT will mark the debut for its UK channel, which will launch with the exclusive UK television premiere of the highly anticipated drama Fear the Walking Dead on BT TV. For BT this represents another step forward in enhancing its television platform, BT TV. In recent months BT TV has extended its content line-up by adding Netflix, Sky Sports 1&2 and a new BT Store service offering ‘Buy to Keep’ movies and TV box sets. The news follows hot on the heels of BT's announcement that it was launching a new BT TV Ultra HD box and BT Sport Ultra HD channel in August. Today’s news follows significant expansion for AMC since the company launched the brand for the first time outside North America late last year. 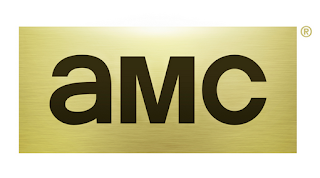 AMC is now seen on subscription television platforms in over 125 countries and territories throughout Europe, Latin America, Asia, Africa and the Middle East. The BT/AMC move has echos of the Sky/HBO deal that brought exclusive content to Sky Atlantic, a channel that Sky has kept hold of for itself and isn't available on other digital TV platforms. BT and Sky continue to be at loggerheads over channel carriage, with BT unable to offer Sky's entertainment channels and currently only Sky Sports 1 and 2 thanks to a Competition Appeals Tribunal ruling in November 2014 in BT's favour. It means more deliberations for viewers, who must increasingly choose between channels that they want or can do without when weighing up different pay TV packages. Additional extras, including telephony, broadband and mobile services along with lengthy contract periods means some viewers may be stuck without access to the programmes they want to watch until their contract is up. Even then, the number of different services bundled in, such as broadband, may make any switch seem more hassle than its worth. The ongoing battle between BT and Sky for supremacy leaves TalkTalk and Virgin Media customers sat in the middle, with no guarantee of any of the exclusive sports and drama channels coming their way. So the extra competition may not be as good as it seems to viewers.